The Sonic is the newest innovative addition to the Pride line of scooters. 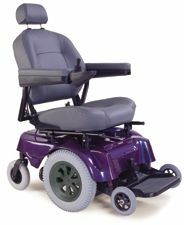 The Sonic is unique in that the lightweight aluminum frame weighs only 93 lbs., without batteries and the base of the unit breaks into 2 pieces, with the heaviest piece only 37 lbs.!! This makes the Sonic the perfect scooter of choice for vehicle or airline transportation. One of the innovative features of the Sonic is the self contained removable battery pack with on-board charger. 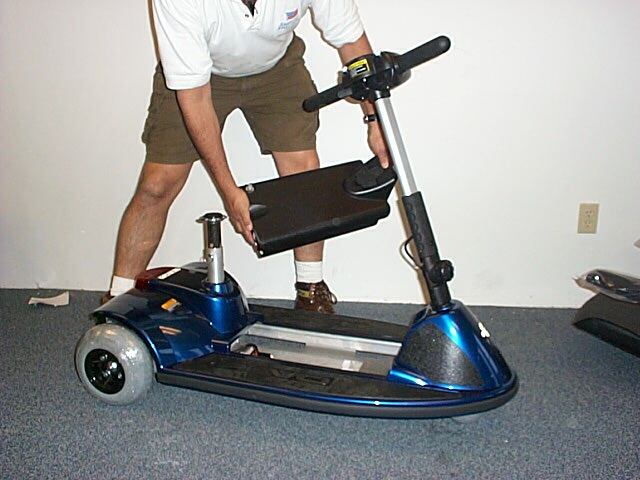 This small section of the scooter can be easily removed and transported into the home for charging, so that the actual scooter may remain in the vehicle trunk or in the garage. Total weight - 111 lbs. Weight without batteries - 93 lbs. heaviest piece ONLY 37 lbs.!!!!! 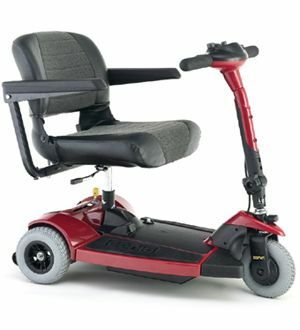 The Sonic's infinitely adjustable tiller folds down and locks on to the scooter base, serving as a carrying handle, preventing unintended movement during transport. The light weight aluminum frame design and built in carrying handles on bumper and tiller allow for ease of transport. Cast rubber floor mats and standard solid tires. Self contained, removable battery pack with on-board battery charger. Infinitely adjustable aluminum folding tiller offers optimal comfort and serves as carrying handle for easy transport and locks into place to prevent unintended movement during transport. Weight w/o batteries 93 lbs. Custom molded foam handle grips. Two piece lightweight tubular aluminum frame for optimal strength. State of the art microprocessor based controller.